Back in September, on a trip to Walsall for a Social Media Curry, I picked up a pack of 3D SpongeBob Top Trumps. Unlike the traditional Top Trumps, the latest versions have an interactive element with 2D barcodes printed on the back of some of the cards which can be read by a web cam with special software. Earlier this week, Top Trumps finally released the necessary SpongeBob software. Why the cards were on sale almost three months before the software I don’t know, but at last I can have my photo take with Spongebob. 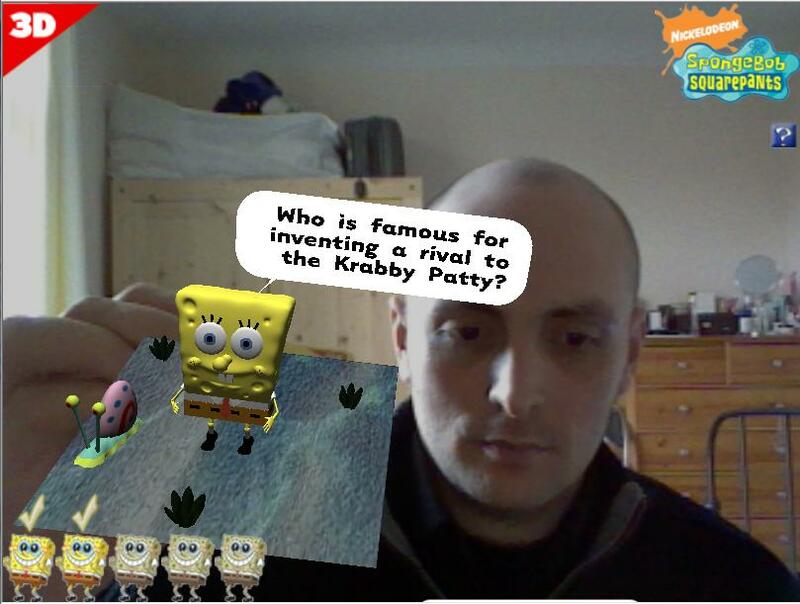 The actual SpongeBob software is a bit rubbish, and really wasn’t worth a three month wait, but it does show some of the potential of 2D codes for bridging the gap between the real and virtual worlds. We've launched http://www.vani-t-shirt.com, a QR code application for Facebook. have a look, maybe you'll be interested in writing a something about this app.